Fosjoas K3 sitting-posture self-balancing scooter is quite popular among many urban white-collars. It is a perfect transport for them to work every day, because it can avoid traffic jam in the rush hours and thus save much valuable time. Besides, they also can ride it to enjoy happy weekends. The following will share the life of Sophia with Fosjoas K3. 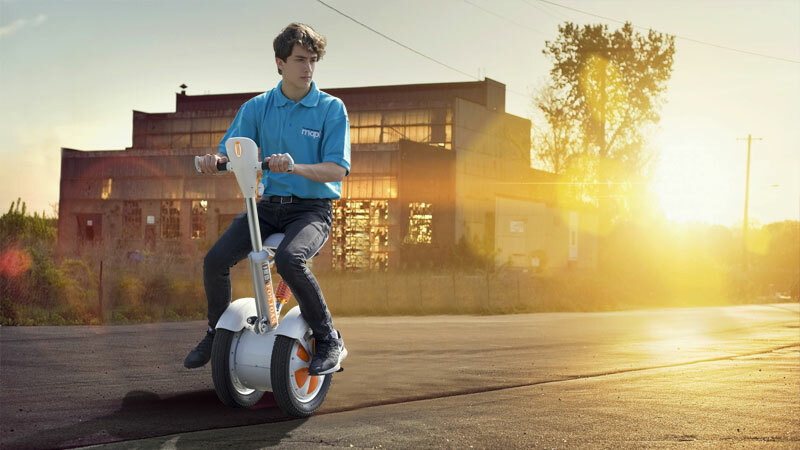 Fosjoas K3 sitting-posture best electric unicycle is quite popular among many urban white-collars. It is a perfect transport to work every day, because it can avoid traffic jam in the rush hours and thus save much valuable time. Then, white-collars can get more sleep time in the morning and get home early after work. After all, enough sleep and relaxing life tempo are the key to female's beauty. After Fosjoas K3 sitting-posture scooter applies to Sophia's life, she gets up at eight o'clock and return home at six. It almost saves four hours every day for Sophia. Riding Fosjoas K3 balancing electric unicycle is different from riding bicycle. It is well-known that the latter relies on physical strength. However, just body is able to control Fosjoas K3, because it depends on aerospace attitude control theory, fuzzy software algorithm and gyroscope system to realize self-balancing. If riders want to speed up, they just need to lean their body forward, and vice versa. That is to say, riding Fosjoas K3 is burden-free. Besides as a transport to work, Fosjoas K3 sitting-posture self-balancing unicycle also plays a key role in Sophia's weekend days. Oftentimes, she rides Fosjoas K3 to meet her girlfriends in coffee house, seaside western restaurant or beautiful countryside for a picnic. It is equipped with 520Wh SONY lithium-ion battery, which is capable of sustaining 45km. Such a range makes long-distance travels possible. All in all, Fosjoas K3 is the best life companion of urban white-collars.